A Qantas Gold frequent flyer card is your ticket to priority check-in, airport lounge access and priority boarding wherever these perks are available: but those same benefits are also offered to business class travellers, regardless of status. While the advantages of Platinum frequent flyer status are clear – most notably, access to Qantas, Emirates and Oneworld first class lounges – Gold frequent flyers are somewhat stuck in the middle, which poses the question, is there any real advantage to your Gold status if you’re already flying at the pointy end? Here are some of the ways your Qantas Gold status can come in handy, even when your airport perks are already taken care of. Take a points-earning flight booked under a Qantas, American Airlines or Jetstar flight number and on all but the shortest of journeys, you’ll earn 75% more base points than business class passengers who don’t have status. For example, a return Qantas business class flight from Sydney to London would fetch a Bronze frequent flyer 40,300 Qantas Points (and 590 status credits) on a mid-range fare: but with Gold status, that haul is boosted to 58,900 Qantas Points, being 18,600 Qantas Points more. 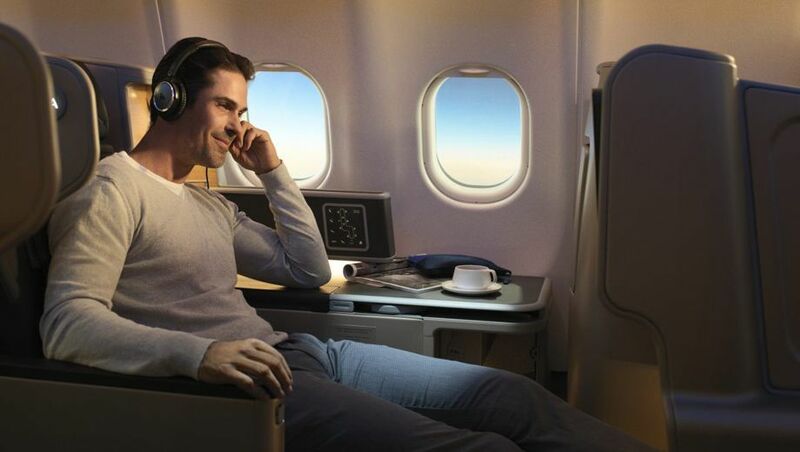 With more points to spend, Gold frequent flyers also have a better chance of using those points to book their preferred flight, including in business class, as Qantas releases more Classic Flight Reward seats to Gold members than it does for Bronze or even Silver frequent flyers. For best results, when using the Qantas website to explore your flight options, be sure to login to your Gold frequent flyer account before running your search: if you don’t, you won’t see the extra seats reserved exclusively for Gold members (and above). Business class tickets already provide a more generous checked baggage allowance than available in economy, and on some routes, your Gold status pushes that allowance even higher. As an example, on most international Qantas flights, the standard business class baggage allowance is 40kg: but with a Gold frequent flyer card, you’re able to bring up to 56kg of baggage at no extra charge. While there’s no additional allowance for Gold members on business class flights to The Americas, or on Australian domestic-only tickets, when jetting every else, that’s a nice safety net to have. Travelling in business class on Qantas Airbus A380 flights allows you to request an upgrade to first class using your Qantas Points: and while Platinum and Platinum One members have the best chances of success, Gold frequent flyers are next in line. That puts you ahead of Silver frequent flyers, regular Qantas Club members and Bronze (entry-level) travellers, which could make the difference between flying in a suite or remaining in your business class seat. Passengers flying with British Airways are often surprised that BA charges seat selection fees not only in economy and premium economy, but also in business class: including on the airline’s all-business-class flights from London to New York. On a simple return transatlantic hop, that can add $224 to your travel costs: but in recognition of your frequent flyer status, BA waives all seat selection fees for Gold frequent flyers from the time of booking, including for all other passengers travelling under the same reservation. By comparison, Qantas Silver members only receive free BA seat selection within seven days of travel, while everybody else – including paid-up business class flyers sans status – can only make a gratis choice at the time of check-in, unless paying extra to reserve a seat in advance. If the bulk of your travels find you in business class such as on longer international flights, but you’re still required to take the odd economy journey – short routes within Australia, for example – this is where your status really comes in handy. Even on the lowest-cost fare types as may be booked under corporate ‘best fare of the day’ policies, you’ll still have all the usual benefits you’ve come to appreciate, including priority check-in and priority boarding, and lounge access too. In most airports, the lounge you can use is the same as for business class, although in Sydney, Melbourne, Brisbane, Canberra and Perth domestic airports, you’ll have to make do with the regular Qantas Clubs rather than the higher-tier Business Lounges: on this trip, at least. Are there any hidden perks for being Qantas Lifetime Gold? Thanks David, specifically, I was wondering if LTG status gets in front of standard Gold for things like points upgrade requests, Operations upgrades on the plane if they're offered, etc. On the flip side, as a mostly economy class flyer domestically and to Asia, gold status is of huge benefit and I wouldn’t be without it. I can understand the possible lack of benefit to flyers who regularly travel business class though. I thought arrival lounge access on VA was only for Platinum as well, its not advertised as a benefit for Gold on the Virgin website, yet it is for Platinum. In practive may be different. Not to get off-topic (this article is about Qantas Gold benefits, after all), but the Velocity wording is "day of travel" (i.e. "same day") boarding pass for Velocity Gold access. In full, the policy reads: "Velocity Platinum members can access the Virgin Australia Lounge on arrival with an eligible day of travel Virgin Australia or partner airline itinerary or boarding pass. Subject to space availability, Velocity Gold members and Lounge Members may also access the Virgin Australia Lounge on arrival with an eligible day of travel Virgin Australia or partner airline itinerary or boarding pass." Understood. Thanks for clarifying Chris. Useful when considering if the extra milage is worth it to maintain platinum. I wouldn't really call 'priority check-in' a perk anymore since they allow Silver / Ruby members to use it. The (international) business class check-in counter is routinely as busy as the economy check-in given that nearly every man and his dog (plus guests travelling with that person) can use it. I would argue that the benefits of being gold when travelling business class are marginal as the tangible benefits amount to 75% additional points, (slightly) better seating, marginal increase in baggage allowance (~4kg excl North America) and middle of the pack in the upgrade lottery (CL>P1>WP>SG>PS>NB). Most of your other 'benefits' are already included in your J ticket. When travelling PE or Y on the other hand, gold is great for the lounge access, increased baggage and free seat selection. By far the biggest advantage of being gold is access to lounges when travelling Economy on domestic flights. This is a perk that most Goldies can use whereas the others are more niche market, albeit very useful. I have lost my Platinum status after more than 15 consecutive years and have now been downgraded to my Lifetime Gold status given to me a decade ago. The only perks I was mostly interested in with Platinum were a) the ability to use First Class lounges across Oneworld members, 2) a very generous extra baggage allowance which I so need for work purposes and c) the ability to select or request certain seats. Can anyone tell me if LTG status differs considerably and offers much less in terms of 2) above re extra baggage allowance and do we get to use business lounges across Oneworld and Qantas club when flying domestic? Much appreciated for your comments in advance. @1Worldfreqflyer, went through exactly the same several years ago when I changed to a domestically focussed role. You are now no different to any other Gold FF in terms of benefits and access - you just have a card which says you have been doing it longer than most, and don't have to re-qualify annually (though I havent checked on the minimum annual number of flights criterion.) Domestic Lounge access is as per your travel class - in economy, you are in the Q Club lounge. Even seat allocation to meet your saved preference seems to be driven first by the fare type (full vs various discount levels) then by QFF status. Chris, you forgot in Point 3 that Chairman Lounge trump all other status flyers ;-) :D (admittedly, not a level easily obtained for us mere mortals). Qantas has only ever ‘officially’ said that Chairman’s Lounge members are “among the first” to have upgrades to confirmed, not necessarily “the first”, so we avoid publishing such as fact. Oh yes, the least they ever tell us is the most we'll ever know. Everything in CL is "unpublished" so impossible to verify but we all know who is more likely to be at the head of the pecking order. Comment on "The five best benefits of Qantas Gold status for business class flyers"